Finding a good dentist to take care of your teeth can sometimes be difficult. However, if you follow some of the following advice your search for good dentist can be much easier than you think. One of the easiest ways to find a good dentist is to consult your friends and relatives. Most of them will surely recommend someone good. You can ask them about their experience with the dentist, what methods he uses, is he friendly, etc. If you had just moved to a new place, probably the best thing to do is to visit local health facility or hospital and ask about credible dentists in the area. Also a good thing to do is to visit some local dental schools where you can get informed about the dentists that work in that particular area. Besides that, you may also opt in to use the dental services of the dental schools. They are most likely cheaper and your teeth are in the hands of dental students, but they are still supervised by more experienced dentists. Next way of searching is looking online. There are plenty of websites that have lists of dentists that operate in your area. Read some reviews and experiences of other people that have used the dental services of a particular dentist. If the dentist has many negative reviews, then probably you should look somewhere else. Check out different websites of dentists, and see what kind of services they offer. 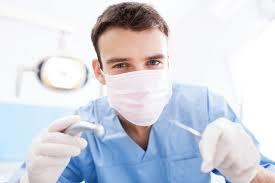 By looking at their websites you can get a general feel about the dentist and how he operates. When selecting a dentist you should have in mind your exact dental needs, and think about what specifically you are seeking from the dental worker. If your teeth are healthy then you are in advantage because almost all of the dentists can do the basic things like checking your teeth, cleaning them or performing x-rays. However, if your teeth are bad then you should probably seek dentists that have orthodontics as their specialty. If you just want your teeth to look good then you should seek a dentist that is expert in cosmetic dentistry. Always remember that you do not have to stick to one dentist all the time. Try their services and if you are not satisfied you can change it and look elsewhere. In any case finding a good dentist is crucial for having good teeth and a beautiful smile.